This was a fascinating one!! I just clicked a bunch of your links to read more about her. She is beautiful. Wikipedia mentioned one of her children went missing in Louisiana. in 1994. I do often stop here and look at your finds. I wouldn't know how to react if I had a 15 year old daughter who wanted to get married. Let alone him of all people. But of course I'm just judging a book by its cover. I agree, she's beautiful and on that picture she looks like a (almost) grown woman. i love your site. 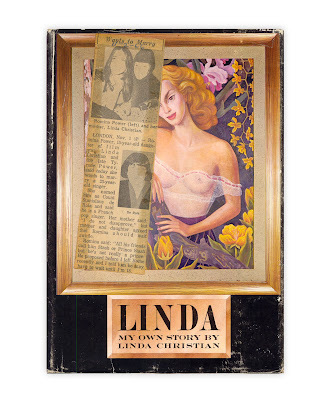 and i also got on the web to check out more info about linda christian. keep up the good work! As always -- fascinating. I love this snapshot of mod London, along with the traditional non-approval of mom. Keep up the sleuthing! 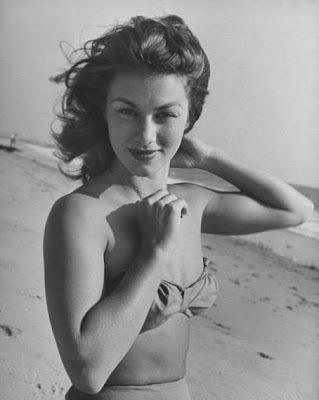 Linda Christian from the High Chapparal television series?